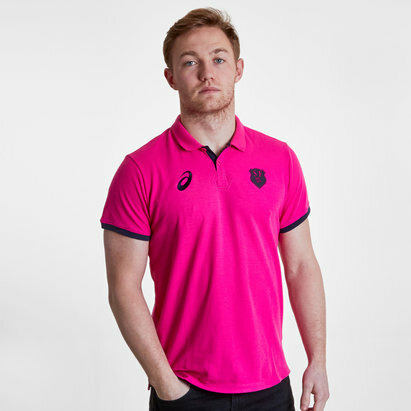 Designed to give the supporters some kit of their own, worn on game days at for other casual occasions, the ASICS Stade Francais 2017/18 Supporters Rugby Polo Shirt. 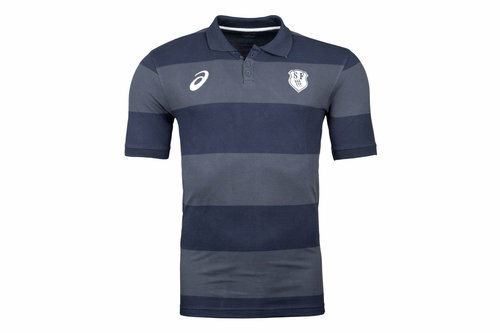 This polo shirt from French Top 14 giants, Stade Francais comes in blue and grey with a striped design, ideal for any casual occasions. This soft fabric provides comfort when cheering on the team from the stands or even the comfort of your home. 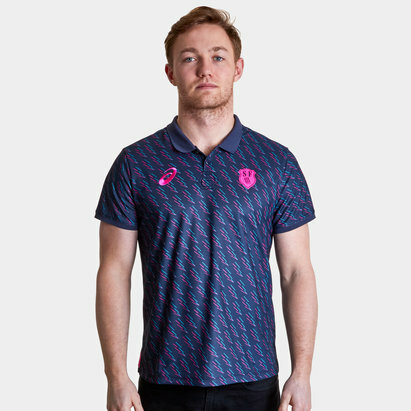 Made from a lightweight blend of polyester and cotton, a smart button-up collar creates a smarter look whilst still maintaining that Stade pride. 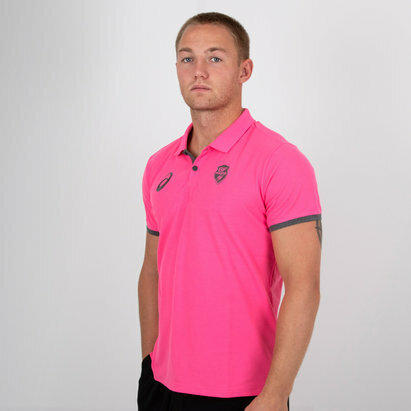 Whether you're facing the media or opposition fans in the bar afterwards, make sure you show where your loyalties lie with this Asics Stade Francais 2017/18 Supporters Rugby Polo Shirt.